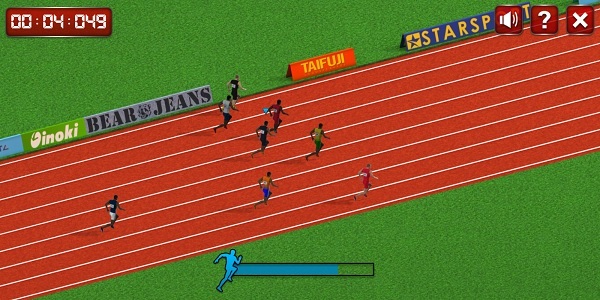 Description: 100 Meter Race is a running sports game. Race against other competitors in the world then buy upgrades with your earnings. Run as fast as you can while try to conserve your energy. If your energy is low, you won’t be able to sprint. Controls: On a PC, mash your left and right arrow keys to sprint. On a Mobile Device? Then mash the left and right arrow keys on your screen.